The London Irish prop created a lot of interest during the Six Nations championship with the beard and has raised £10,000 for rugby's children's charity Wooden Spoon - dedicated to transforming the lives of disadvantaged children and young people across the British Isles through rugby. His efforts are also helping raise funds for his former club-mate at Edinburgh, John Houston, who is seeking £50,000 to compete in the Wooden Spoon Arctic Rugby Challenge. Setting off on April 15, the challenge aims to set a world record for the most northerly rugby match in history after a trek of 100 miles to the magnetic North Pole. 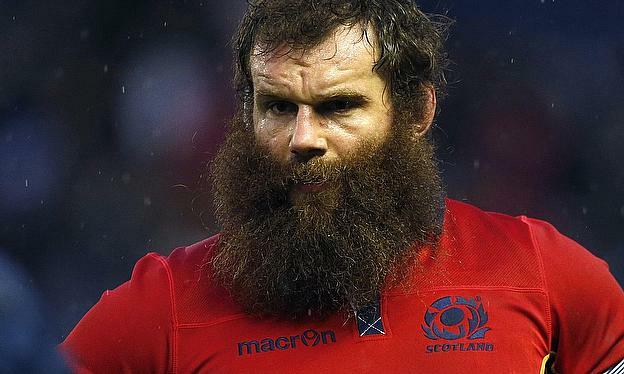 When asked if he did indeed have the greatest beard in rugby, Cross said: "It's really not my place to say but I'm very proud of it. "My wife is really pleased it's going. It has been a long-suffering year for my long-suffering wife."